Read Janet Fitch’s 10 Rules for Writers at the Los Angeles Times blog: http://latimesblogs.latimes.com/jacketcopy/2010/07/janet-fitchs-10-rules-for-writers.html. We can’t resist passing along her invaluable tips to our WAW readers. Enjoy! I’ve been thinking about vowel sounds. Low vowels, high vowels, short vowels, long. No, I won’t go all English major on you (impossible, since I wasn’t one). But vowels are crucial to the music I want to make. Different vowels possess different frequencies; get out your oscilloscope for proof. The higher vowels—such as the long “ee” or “i”—create peak-and-valley designs. Low vowels—think “ooh” and “oh” and “uh”—reveal fewer, calmer fluctuations. So why wouldn’t these notes transmit dissimilar meanings? A few summers ago, I had the good fortune to hear poet B. H. Fairchild talk about Sylvia Plath and one of her signatures –“a congregation of vowels linked together”—leading with and repeating vowels to form a picture built of sound. Consider these lines from “Ariel” – “Statis in darkness./Then the substanceless blue/Pour of tor and distances.” Don’t the long “blue” and “pour” and “tor” slow you down and make you feel as if you’re pouring (or being poured) over that line break, before being brought up short by “distances”? 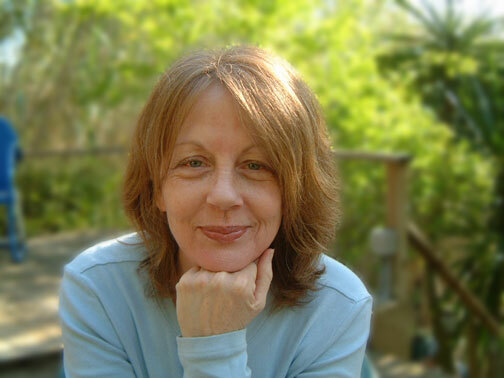 Biography of Candace Pearson: Candace Pearson is the author of Hour of Unfolding, which won the 2010 Liam Rector First Book Prize for Poetry from Briery Creek Press, Longwood University. Her poems have appeared in fine journals and anthologies. She lives in the Los Angeles hills.